Hey....remember when I use to post regularly? Sometimes a few posts a week? That was pre-cruising. Now that Rowan is staggering around anything that provides some stability (including the dog's legs) the days have seemed to have shortened. And become a lot more tiring. How magical! I haven't gotten my craft on for a looooooong time, so I thought I'd share yet another baking adventure. 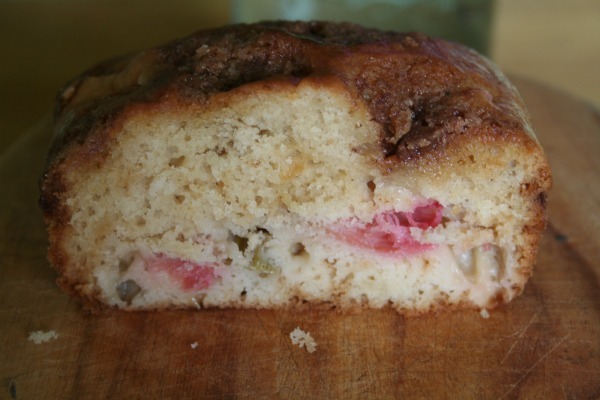 It involves my new-found love for rhubarb. 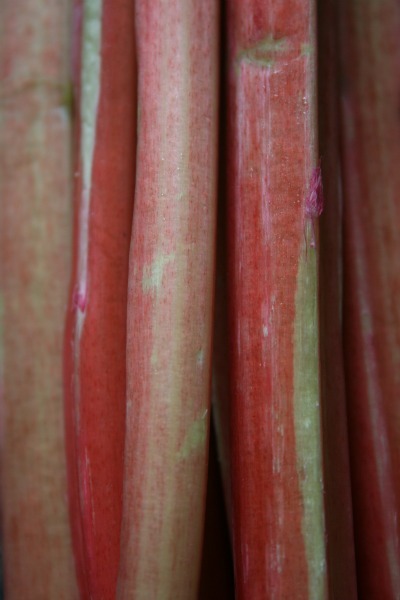 Yep, I'm a recent (3 years, actually) rhubarb convert. It was always served up at home when I was a kid, but ya know...just didn't appeal to me. 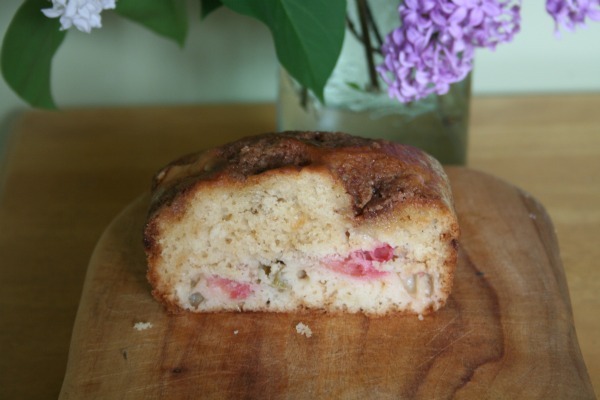 And I have a feeling that it still doesn't appeal to many of you; but I'd suggest giving this Rhubarb Loaf recipe a whirl before banishing it to the 'Land of Ewwwwww' permanently. It's sooooo good. Seriously, look how much of it was eaten before I remembered I hadn't photographed it! I highly recommend it with tea. Or coffee (it is very coffee-cakey). Or vanilla ice-cream. 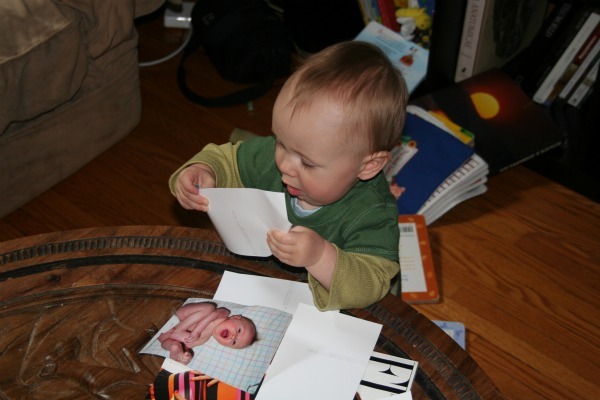 Or just by itself to help you ignore the fact that your child is rearranging and scrunching meticulously organized photographs. 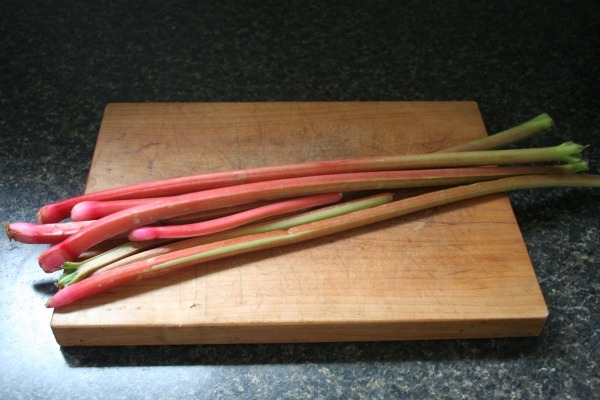 After a long winter of citrus and bananas (and whatever canned or frozen fruit I squirreled away), some fresh, locally grown rhubarb is a welcomed sign of spring. And a yummy reminder that strawberry season is approaching!